Hopefully no one ever breaks into your home. But if something goes wrong, you want to know as soon as possible. Sometimes burglars who can’t get in through an unlocked door or window will resort to breaking glass. A glass break sensor can alert you immediately so you can quickly call for help. We like SimpliSafe’s glass break detector because you can use it as a standalone device or pair it with professional monitoring, depending on what is best for your lifestyle and budget. This sensor isn’t the cheapest on the market, but it’s definitely one of the least expensive glass break detectors offered by a security monitoring company. You’d pay almost double for a glass break sensor from Vivint or Frontpoint. 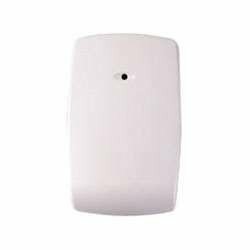 SimpliSafe’s sensor has good range, so you can place it where you like. It also has sensitivity settings that make it easier to avoid false alarms from other sounds. Glass break sensors aren’t known for their aesthetics, but Honeywell’s sensor is one of the best-looking sensors on the market. So if you’re looking for something a little more stylish, this is the one to pick. It also has greater range than our other recommendations, a 10-year battery life, and sensitivity settings for tailoring it to your environment. Plus, its sophisticated sensor has special tech to process sound quickly and minimize false alarms. Looking to send a clear message? 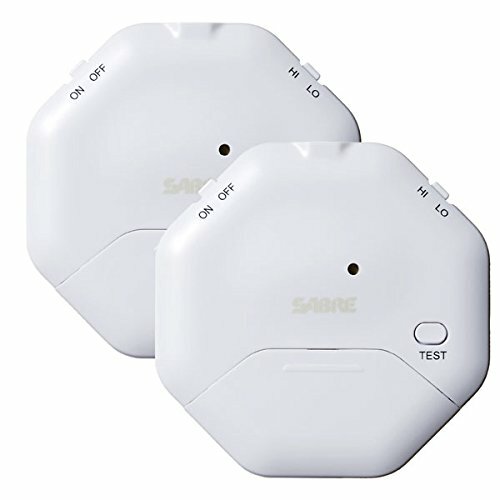 Mount these inexpensive Sabre alarms straight to your window for would-be intruders to see. Unlike the other glass break detectors we recommend, this one has a shock sensor that picks up vibrations. It’s not the prettiest solution, but it is a good way to let people know your windows and glass doors are protected. Plus, since it doesn’t use audio, you don’t have to worry as much about false alarms. Glass break sensors are more effective if someone actually notices them go off, which is why we recommend getting sensors with a professionally monitored security system. Here are some of our favorite security companies that offer high-quality glass break sensors. The Frontpoint glass break sensor is made by Alarm.com—a company that is well-known throughout the industry for its reliable security equipment. 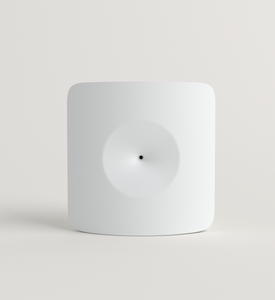 This sleek acoustic sensor is small, so it won’t be noticeable if you don’t want it to be. And it’s capable of sending remote notifications, so you’ll know if something goes wrong even if you’re away. Vivint’s glass break detector also has an acoustic sensor, so it uses sound to detect break-ins. It has a 360-degree horizontal sensor so it can cover large areas. It also gives you the option to tweak sensitivity levels, which can help you avoid annoying false alarms. The ADT glass break sensor has a 25-foot range, so you can place it wherever you think is best. And since it provides live mobile notifications, you’ll know immediately if a glass door or window breaks in your home. Most glass break detectors use an acoustic sensor that picks up certain audio frequencies when glass breaks. These detectors can be placed multiple places in your home as long as they have the range to hear sound from a glass door or window. Other glass break detectors use a vibration sensor that attaches directly to the window or door. These sensors pick up on the physical shock from glass breaking. Read more about how glass break detectors work. Glass break sensors are a great start, but there are lots of other tools that can help you protect your house from danger. If you need help finding other security products, check out our favorite security cameras or our reviews of the best security companies. What do you do to protect your house? Share your tips in the comment section below!